Best Choice is to Invest in Niseko Real Estate! with excellent winter sports possibilities ! and many other large worldwide developers own the upper village! Real estate for sale in ski-lovers paradise resort in Niseko,Hokkaido,Japan is one of the most attractive and potential choice from an investment point of view.It’s also a wise possibility to spend wonderful vacation surrounded by beautiful nature! 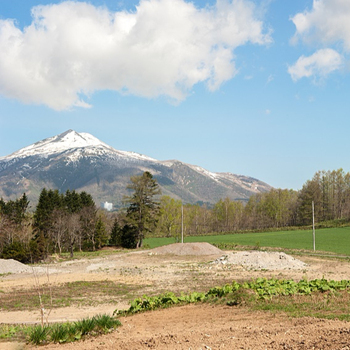 Niseko is the place for a profitable apartment investment ! Niseko,a small town with a population of only 4600,has 1,400,000 tourists a year, even has selected as one of the top 20 places to visit 2011 by NYtimes! It is the peaceful skiing vacation resort,you can enjoy skiing and snowboading for winter,mountain climbing,canoeing,rafting,golf for summer,15 kinds of hot springs for each 4seasons!BUT the problem is,there are not enough houses for worker. Also an increasing number of people have moved to Niseko from other part of cities of Japan and from abroad to live in. Then local government began a system to reduce taxes for the property tax of the building among investors or the companies which built the apartment complexes.This is why now is the best time to buy real estate in Niseko! *This Bargan price land is just a 5 minutes drive to the Niseko ski areas!and the most special point is you will have the right to draw hot spring water with the land! !Please contact us for the details! ~For additional information and request,please contact us. If you want to see more property,please let us know.